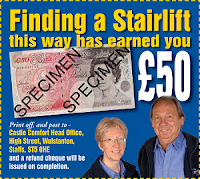 Castle Comfort Stairlifts offer impartial whole of market advice for free within the areas where our stairlift offices are. 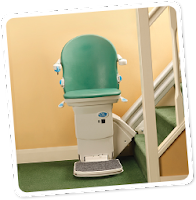 We will strive to give you links to stairlift information or frequently asked questions about stairlifts to guide you in making the best decision for your family, aswell as other useful information such as how to get frozen ready meals for your relative or medical advice and guidance for the elderly. Our blog is a mine of information and we urge you to explore it further when you have the time. In the meantime if you are ready to call us then the number is 01792 359212 or 0800 007 6959. STOP PRESS .. WELL DONE SWANSEA CITY !! FANS TO REACH STAIRLIFT AGE !! Meanwhile on with the warning which has been issued by Cardiff Council and is copied directly from their site. It goes without saying that a firm like Castle Comfort would never operate like this and in fact has previously helped the police by warning customers of rogue stairlifts operators working around the area. Cardiff Trading Standards is warning residents to be vigilant against unsolicited telephone calls from companies claiming they are carrying out a survey on either Medical Conditions or Crime Prevention around the Home. Cardiff Residents have received calls from companies asking for details and then making arrangements to visit with a view to selling mobility products, like stairlifts and also security systems. However, in some instances there may be discrepancies between what they say on the phone and their reasons for visiting people in their homes, and this may turn into a visit costing the resident thousands of pounds they didn't intend to spend. * Make arrangements for family or friend to be with them at the time of any visit. * Obtain further information on how to deal with unwanted doorstep callers from www.doorstepcallers.co.uk. Councillor Judith Woodman, Cardiff Council Deputy Leader for Communities, Housing and Social Justice said: "We take the issue of unsolicited calls very seriously in Cardiff. If you receive a phone call of this nature, be on your guard and never give out any personal details to the caller. If you suspect that the call is suspicious or may be a scam contact Consumer Direct Wales on 08454 04 05 06."